Sitra's Senior Advisor Oras Tynkkynen presented the results from a joint study in the UN Climate Conference COP22 in Marrakech on 16 November 2016. 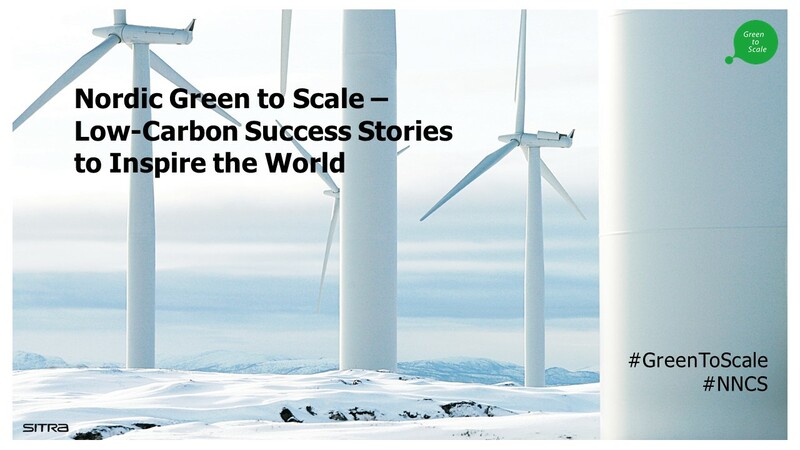 How much emission could we save by scaling up just 15 Nordic climate solutions? Sitra’s Senior Advisor Oras Tynkkynen presented the results from a joint study in the UN Climate Conference COP22 in Marrakech on 16 November 2016. The study was made with a coalition containing the Finnish Innovation Fund Sitra in Finland, the Climate and Air Pollution Group KoL of the Nordic Council of Ministers, the Center for International Climate and Environmental Research (CICERO) in Norway, Concito in Denmark, Stockholm Environment Institute in Sweden and the University of Iceland Institute for Sustainability Studies in Iceland.